Melissa Hege, AICP of South Florida-based Melissa Hege City Planning LLC. shares her thoughts on what every urban enthusiast should know about good streets and great places. 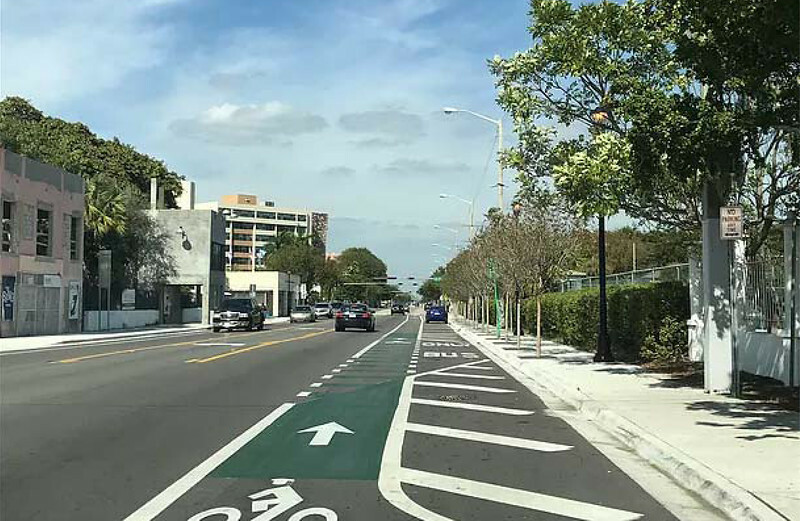 We can’t import Europe’s historical character and public spaces to Miami, but we can learn from their examples to make our fair city even better. Here’s a compilation of what I’ve learned in my year long endeavor to curate the best parts of my travel for geeky urban enthusiasts like me! Places de la Vosges, Paris, Le Marais District. Here lies the most spectacular public square. 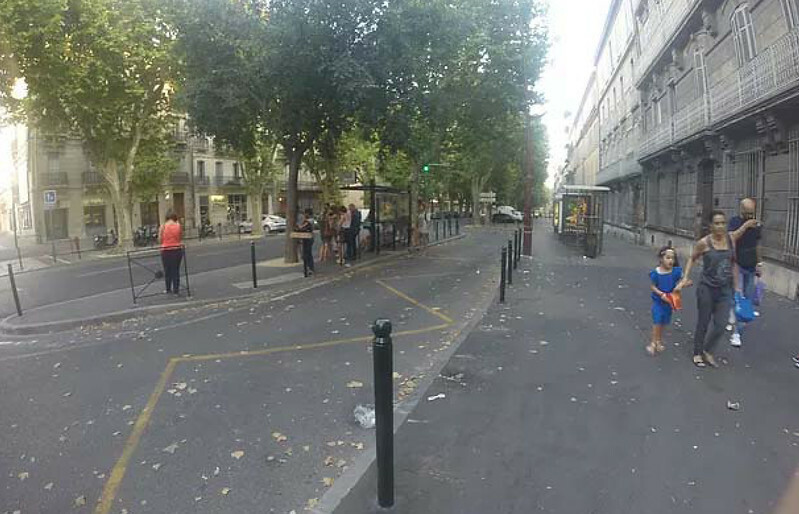 I start with this image because it is quintessential Paris, but so simple, that any city adapt it for themselves. 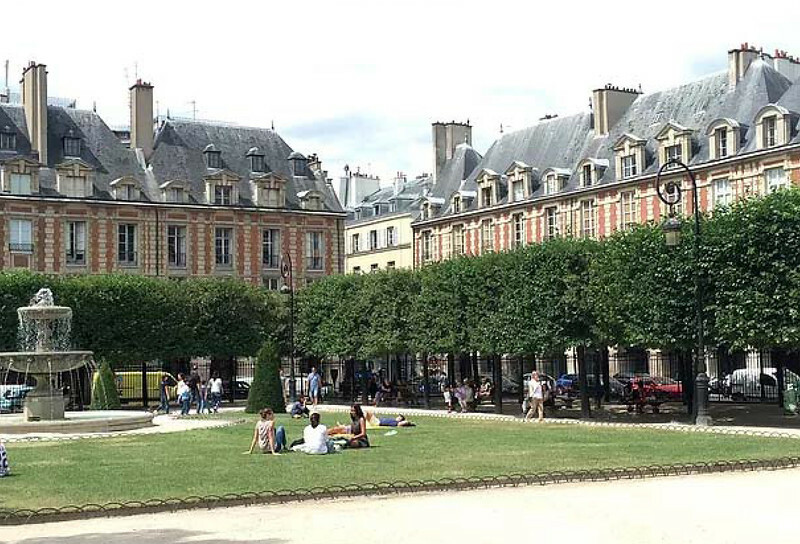 Here, a perfect square is visually reinforced by a perimeter of perfectly manicured trees, wrought iron fencing and a wall of charming buildings that frame the outer edges of this public space. The center focal point is a simple fountain around which the entire park is oriented. There is a balance of grass and pea rock which are neatly separated by metal edging. The formula is simple. The trick is the execution and maintenance. Don’t take your public spaces too seriously. This majestic public square, built in 1357 (according to Wikipedia) became a beach volleyball court in the summer. 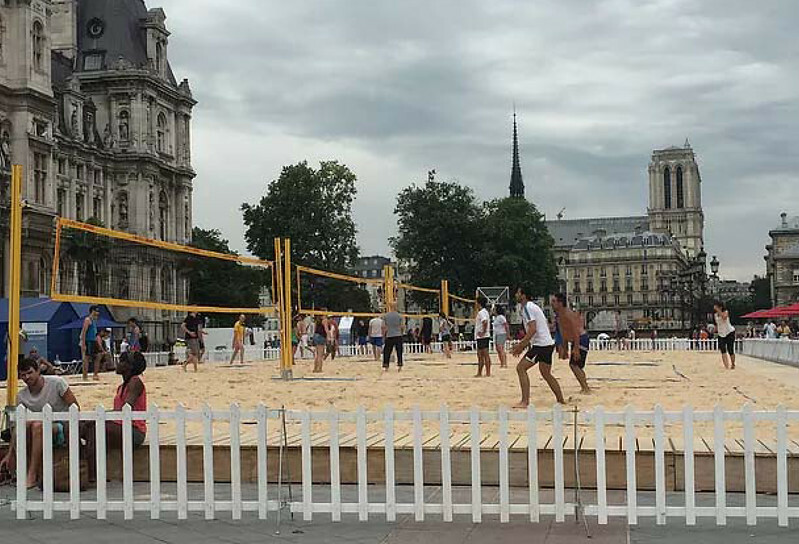 Even Parisians need a clever diversion in the summer– a raison d’être. Why couldn’t we have fun public interventions like this one in Miami? 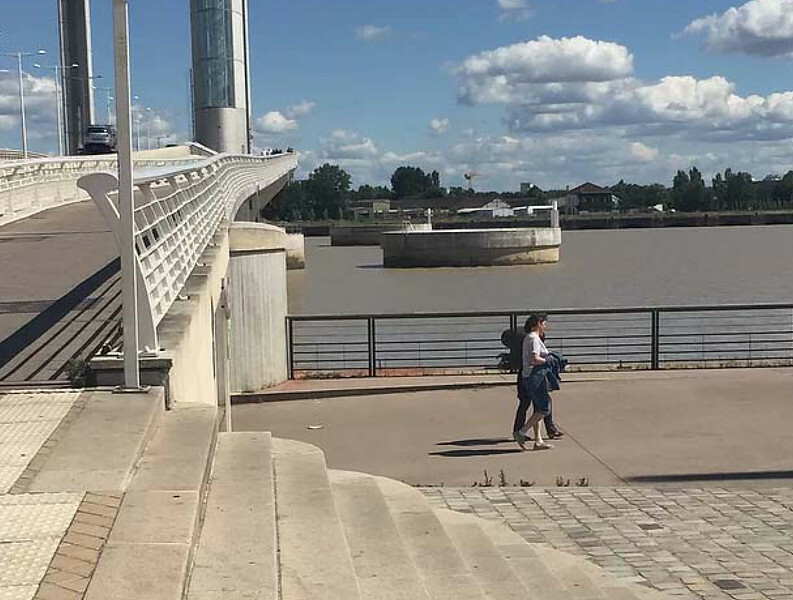 This waterfront promenade was built on an industrial river. 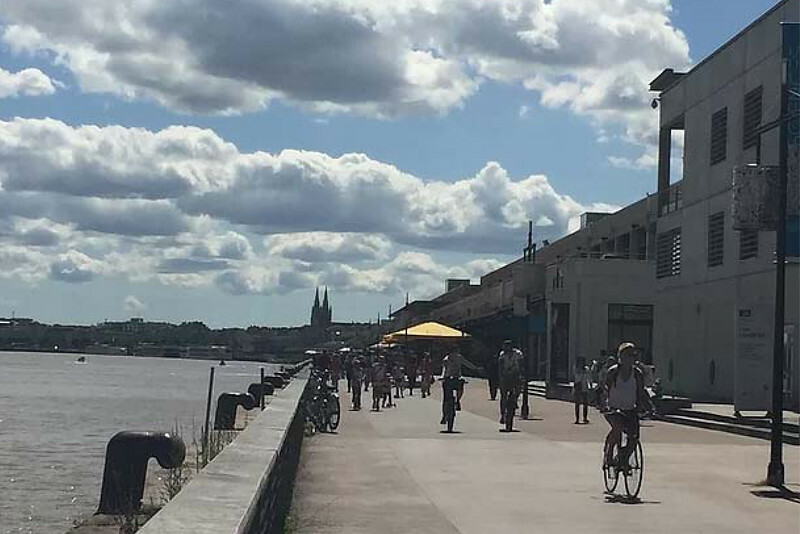 With space for bicycles, pedestrians, cafes and retail, no one really cares that the river is brown, a byproduct of soil and sediment. In Miami we are surrounded by the most beautiful water with little to no public promenades like this one. Create beautiful bridges and a way to pass beneath them. Bridges shouldn’t be obstructions to waterfront promenades. Transit tracks, when unused, double as a path for bicycles. 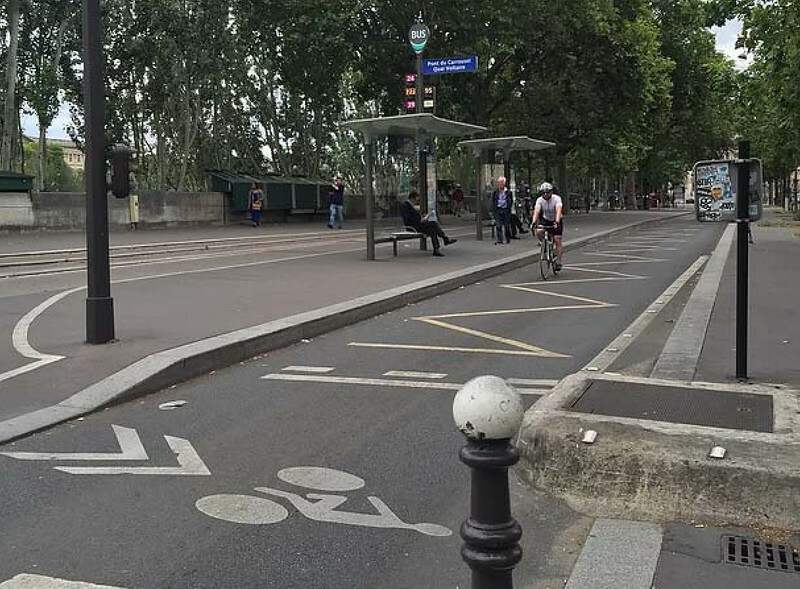 My favorite examples of shared space. 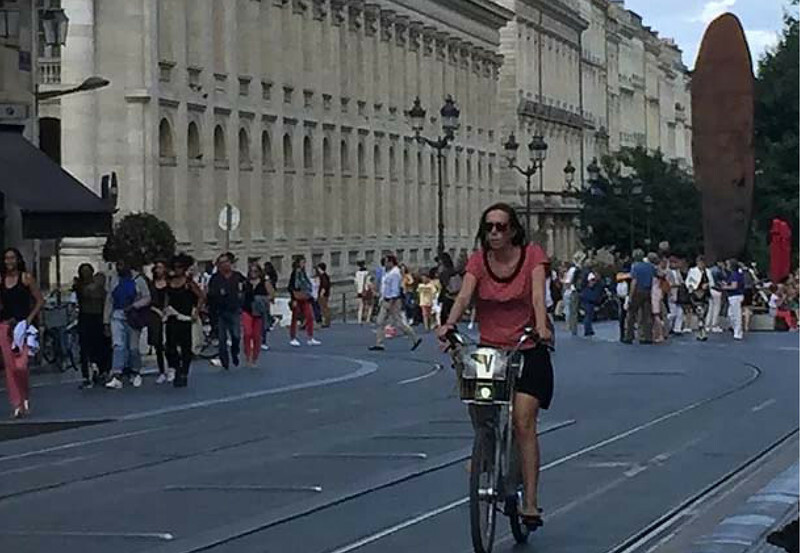 The image on top divides the space into multiple levels depending on the activity– bike, walking. 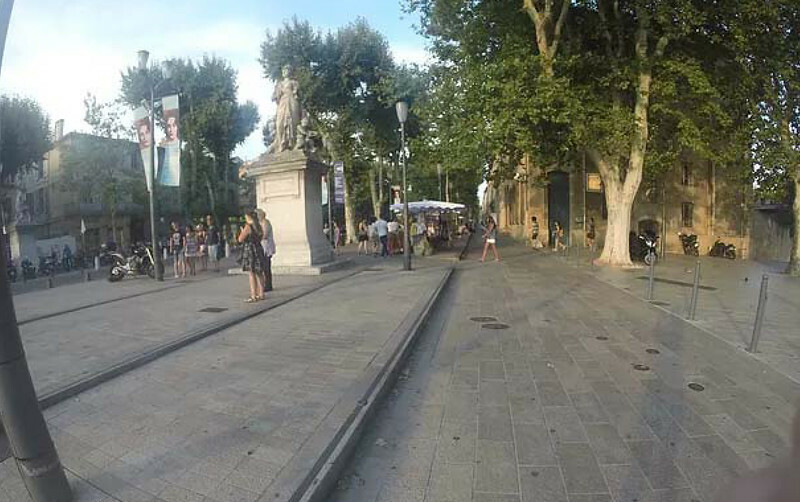 This is the center of town so the pavement is made of small stone pavers. The second image is a bit further out so the material changes to asphalt. Here, bus stop in the middle, bike then sidewalk, are all separated by curbs, a change in the street level and bollards. Bus, bike, car and pedestrian have their own defined spaces adjacent to each other with clear pavement markings. 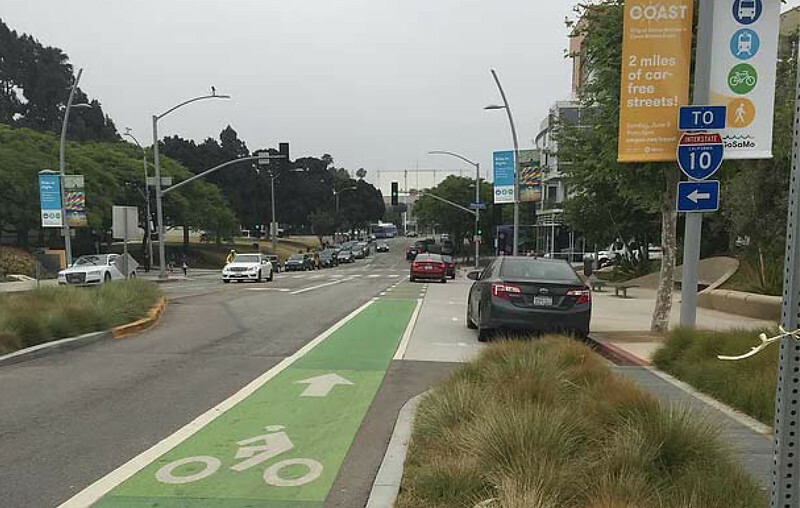 In Santa Monica, green bike lanes float between bio swales and cars. They are easy to see and create a safe environment for bicyclists. We’ve got them here too! NE 2nd Avenue has been transformed. And there are other examples all over Miami. So exciting!